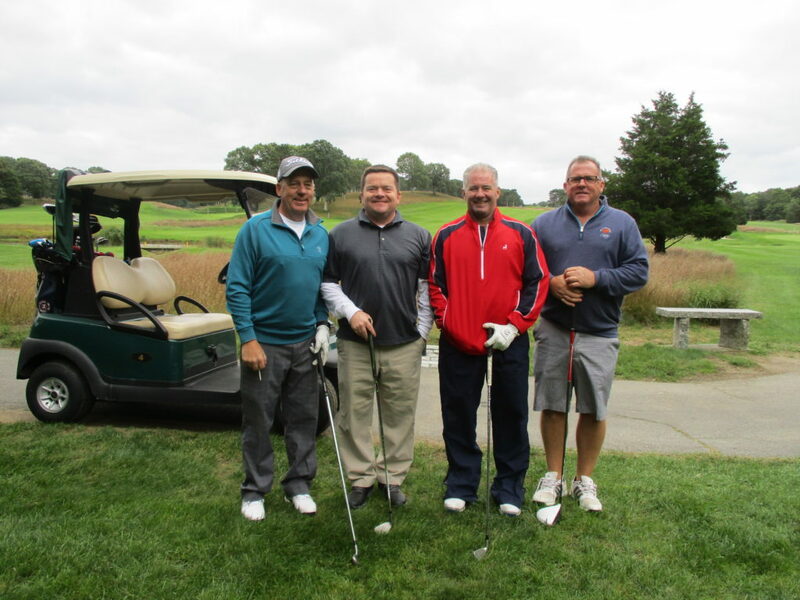 Community Health Center of Cape Cod hosted another successful golf tournament this year at Pocasset Golf Club on Monday, September 24, raising $68,000 in funds to support the Health Center, the most ever, and welcoming 112 individual golfers, the most since 2007. An incredible turnout of sponsors, committee members, players and volunteers participated in the tournament, the Maney Family Putting Contest, raffles and a live auction. CHC of Cape Cod thanks its generous gold sponsors for their support: Cape and Islands Kitchens, Cape Cod Five Cents Savings Bank, Dellbrook | JKS, Group Brokerage Insurance Agency, Harvard School of Dental Medicine, Falmouth Lumber, MEDCOM, Physicians Insurance Agency of Mass, Inc., Raponi Drywall & Plastering, Slade Mortgage, The Valle Group and W.B. Mason. The mission of Community Health Center of Cape Cod is to improve the health of our community through the provision of comprehensive, high quality, compassionate health care to all, regardless of ability to pay. CHC provides care to more than 15,000 individuals within a complete medical home model, where multidisciplinary, integrated health services are provided under one roof to assist patients in overcoming transportation, affordability, financial, linguistic, cultural and other barriers to care. Funds raised from the annual golf tournament directly benefit CHC’s mission. For more on how to get involved with CHC of Cape Cod, please visit www.chcofcapecod.org/get-involved or contact the Advancement Department at (508) 477-5990.